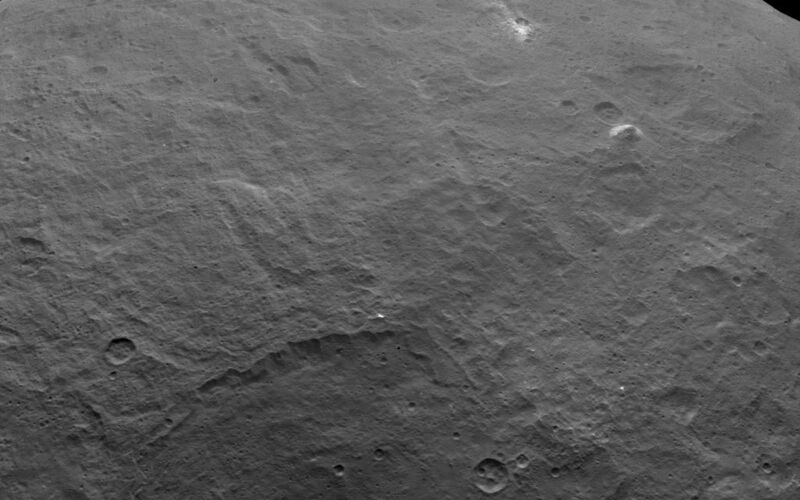 Among the fascinating features on dwarf planet Ceres is an intriguing pyramid-shaped mountain protruding from a relatively smooth area. 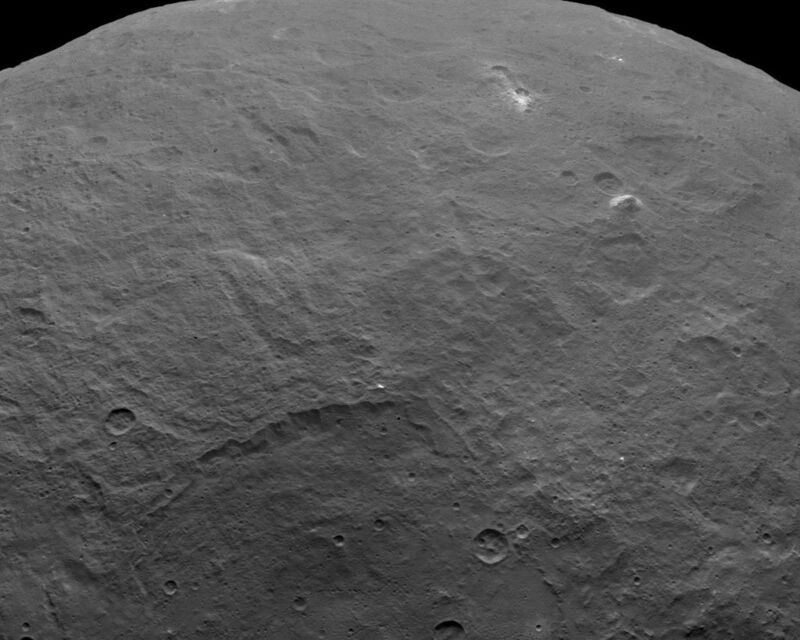 Scientists estimate that this structure rises about 3 miles (5 kilometers) above the surface. 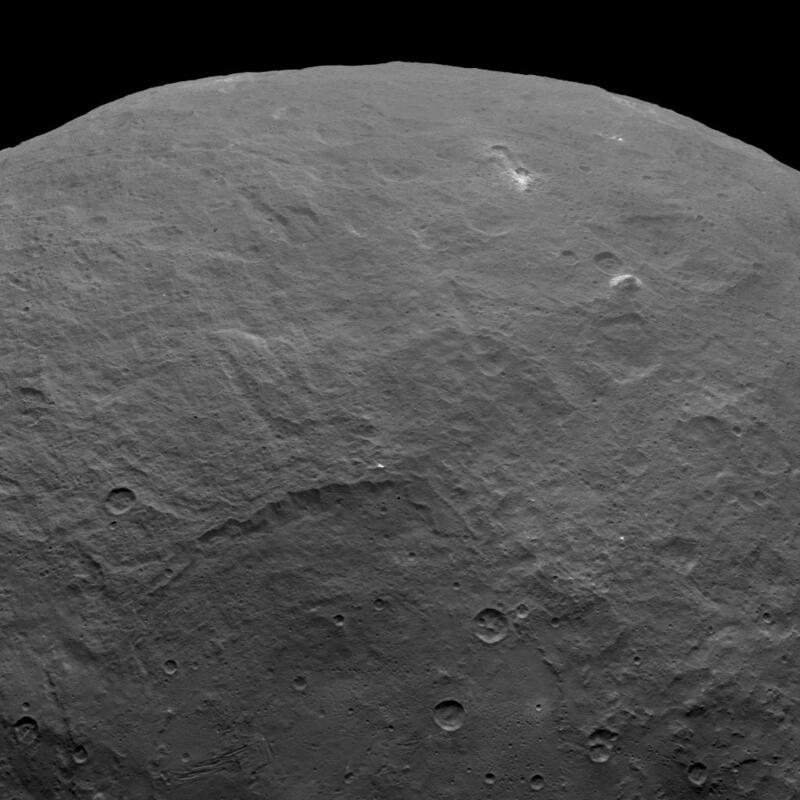 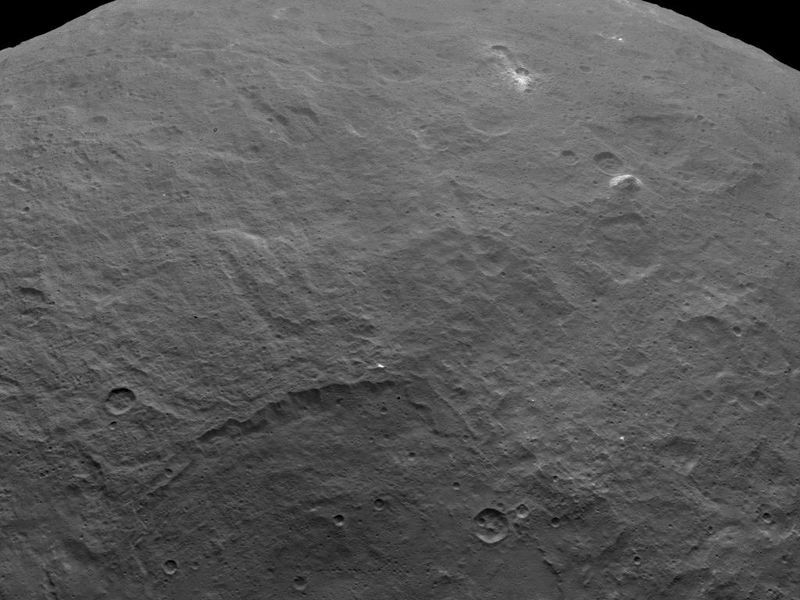 NASA's Dawn spacecraft took this image from an altitude of 2,700 miles (4,400 kilometers). The image, with a resolution of 1,400 feet (410 meters) per pixel, was taken on June 6, 2015.